Possibility to spend the night at Istanbul Ataturk airport (IST), if open 24 hours. Services available, places to rest (free resting zones), or look for the list of nearby hotels and vip lounges.. If you have an early morning flight or a connecting flight with a long wait, it is possible to spend the night inside the facilities of the airport without the need to pay for a hotel. Both terminals remain open 24 hours a day. However, this does not mean that it is one of the most comfortable airports for resting while you wait for your flight. As it is a connecting airport between Europe, the Middle East and America, it is usually very busy throughout the day and so very noisy, with few seats to accommodate everyone and with many lights. Therefore, it is advised to have a sleeping mask and earplugs, in addition to blankets or a sleeping bag, as at night it tends to get a little cold, especially if you have to lay on the floor. Where to rest: The boarding areas are usually the most friendly for resting. In some spots (such as baggage claim area 10) there are seats without armrests, whereby two or three can be used to improvise a bed. 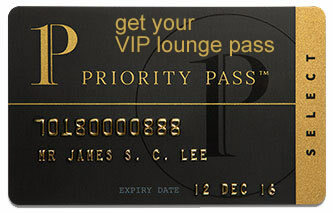 There are also several VIP lounges available around the clock, so if you have a membership card or if you pay a fee, you can enjoy a more comfortable and private space. SEE VIP LOUNGES If you want to get an uninterrupted sleep, there is a hotel inside the International Terminal. Baggage: Both terminals have a 24-hour left-luggage service, giving you the possibility to leave your bags in case you have to wait for the check-in. Eating and drinking: Some cafés and commercial stores are open 24 hours a day. Wi-Fi: Access is free for the first 2 hours, but if you do not have a local cell phone number for registration you will have to pay for the service. Other services available around the clock: ATMs, information desks, secure luggage wrapping, medical clinics, prayer rooms. The TAV Airport Hotel (Tel +90 212 465 4030) is located inside the International Terminal. It is possible to find more options nearby, some of them with complimentary shuttle services to and from the airport. WOW Istanbul Hotels & Convention Center (Tel +90 212 468 5000), Radisson Blu Conference & Airport Hotel (Tel +90 212 411 3838), Rox Hotel (Tel +90 212 551 0506), Ada Apart Airport (Tel +90 549 699 6017), Bricks Airport Hotel Istanbul (Tel +90 212 916 1619), Airport Best Hotel (Tel +90 212 653 0050), Adela Hotel (Tel +90 212 503 3133), Hotel Osaka Airport (Tel +90 212 639 2060), Niconya Port Suite & Hotel (Tel +90 212 652 2646).